is a patented training aid used to assist golfers maintain a steady head position during the golf swing. Learn to hit the ball off the center of the clubface. Ball flight will be farther, straighter, and you'll even putt better. Head position often gets overlooked during the set up by amateurs and professionals alike. A feeling that having a steady head during the swing contributes to hitting the golf ball off the center of club with power and consistency. The reason why is that keeping a steady head helps generate consistent contact and keeps all body parts in the correct position to make a descending angle of approach on the golf ball. Hitting down on the golf ball is the key to consistent contact and an ideal trajectory, especially with irons and wedges. I finally made some time to work with your Eyeball Golf Trainer the other day. I like it for staying steady and the ability to adjust it for tilt with the driver was really good. I also used it some for putting and it made it easier to focus on the ball. I’m curious to hear how other people have used it. I hope this feedback helps. If you send me more ideas on how to best use the trainer, I would be happy to take it out to the course again. Had some control issues with my swing. Some right, some left, couldn’t quite figure what was happening. 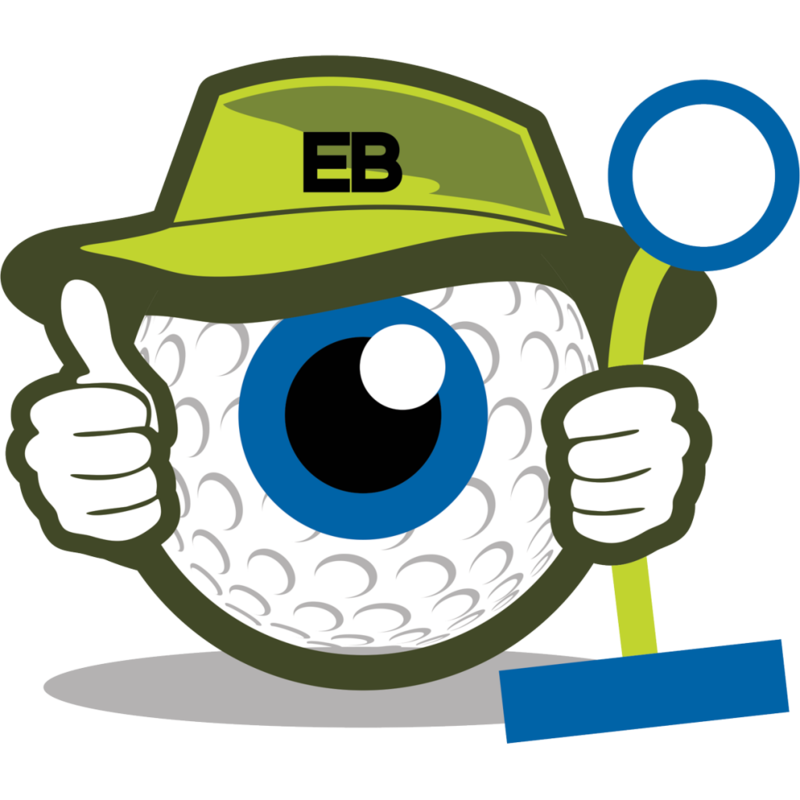 Worked with Robbie and hit a few balls with the “Eyeball Golf Trainer” and found I was moving off the ball. Some a little, some a lot. Hence right and left of target. I can and would recommend using the “Eyeball” to truly see and feel the effect of the head staying in place during the swing. I just wanted to say that the eyeball is great. It’s hard to fix your head movement alone when you have virtually no idea which way your head is moving in the first place. I was moving my head quite a bit before I started swing under this little device. Once Robert handed it to me, I made it part of my routine. Four to five times a week I would go into the garage and practice my technique with the Eyeball, people have seen improvement, and so have I. I can use this device with any and all 14 of my clubs due to the adjusting which is what made the eyeball so precious to me. I can go from my 60 degree wedge to my driver and as long as I see the ball through the circle, I’m hitting the ball great! The Eyeball work perfect off turf or mats. The Eyeball is simple to build and break down all with a spin of the base, you can carry it around in your bag since it isn’t that heavy, and it packs flat so it doesn’t take up that much space. I think this device was a perfect idea, and I know other people will love it too.